Sending remittance from overseas to home was not easy in the last decades as we have now in the second decades of the 21st century, I remember that when I came to Malaysia in 2013 it was very difficult to remit the money to support my family in Pakistan, sometimes I have to wait for 15 days if there is overload of work. The most frustrating part of sending money was to hire a taxi (They will charge at that RM 10 Ringgit to drop at the front of remittance shop) after that the remittance agent will charge another 10 Ringgit to send your money to overseas and if there is any mistake in the recipient's name then you have to spend another RM 10 to hire taxi and to go remittance agent to amend the detail you have provided in your last visit. In my previous post, I have shared that how you can register for Valyou App (Previously known as Prabhu). 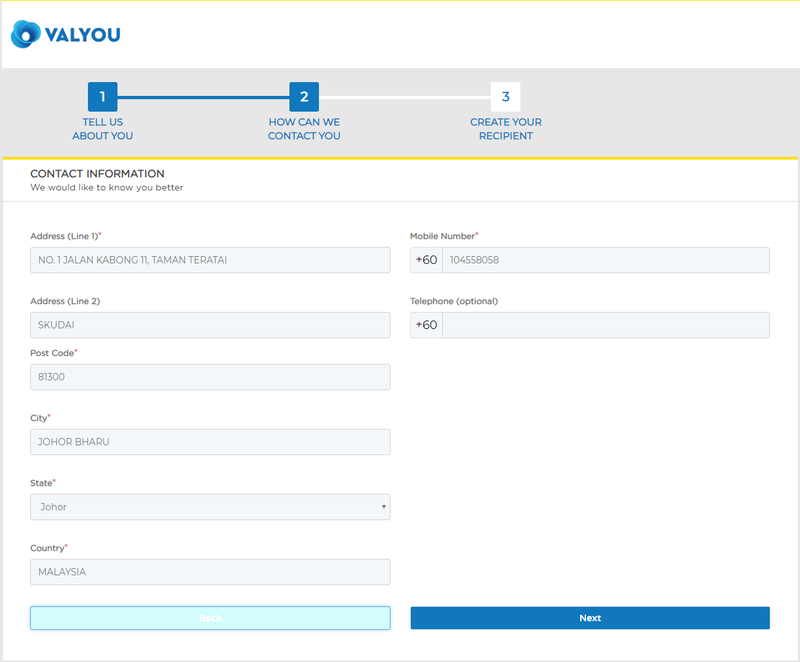 Today in this post I will show you that how you can register for you Valyou Web Account to send a higher amount of remittance using your internet banking account. Before stepping into the main point I would like to share some faqs of Valyou Web Account and the list of required documents to register for Valyou Web. So Let's Start....!!! Any individual who is 18 years and above of age, who possess valid Passport & Work permit, email address and a Malaysian internet banking account. 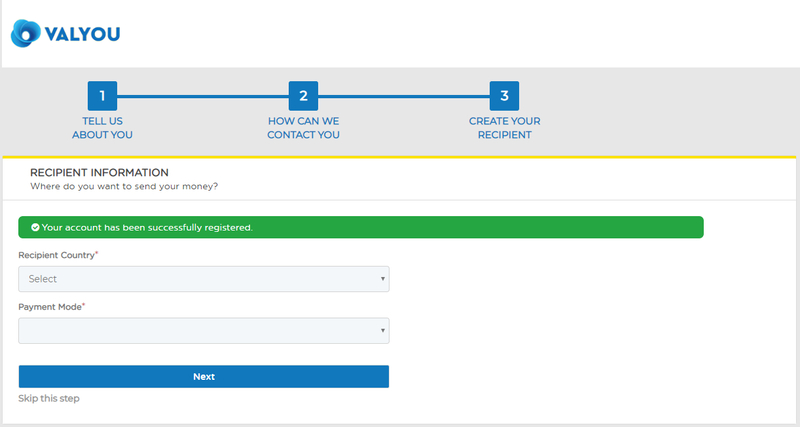 Once you have completed the registration process, simply login and add the beneficiary details that you would like to send the money to. You may transact a maximum of 15 transactions within a 30-day period but your total transactions value per day must not exceed RM50,000. For total transaction(s) value exceeding RM20,000 per day (inclusive of service charge), you will be contacted by our customer care department to submit supporting documents to facilitate the transaction. Note: FPX maximum limit per transaction is RM 30,000, which is subject to the daily internet banking limit set by your banks. You will be issued a Valyou Online receipt via email for every successful transaction. 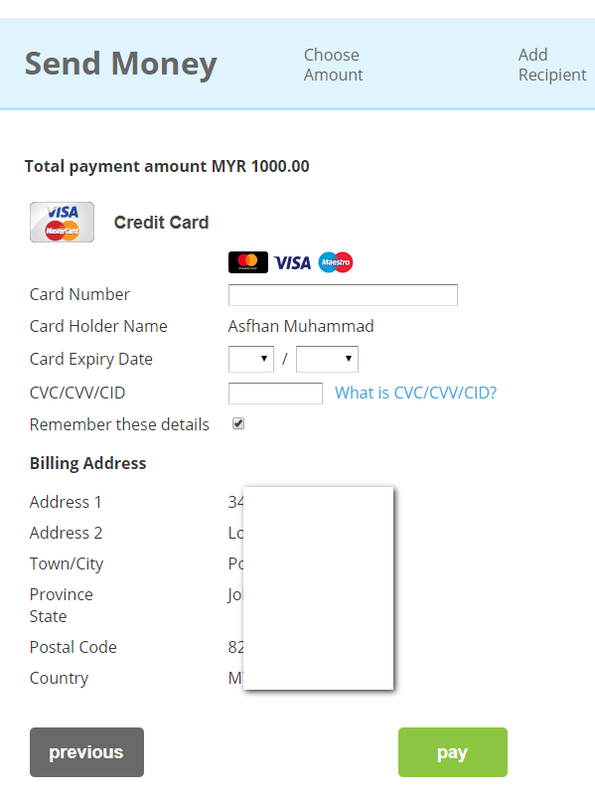 You can also choose to print the receipt directly from the Valyou Online Portal History. Here I will share the links of the bank's website on how to register for an Internet Banking Account. Online banking, also known as internet banking, is an electronic payment system that enables customers of a bank or other financial institution to conduct a range of financial transactions through the financial institution's website.It is a part of core banking system. Enter the email, create a password, confirm your password & finally click on create account button, the popup window will ask you to confirm your email address with 6-digits code received in your mail inbox, click "Yes" to verify your email and enter 6-digit code from your inbox (verification email can go into your mail junk/spam folder). Now just click next and enter contact detail, you have to be present at the address you enter in this form to verify your document face-to-face with Valyou Officer. Click next and your account will be created successfully. Then 0n the next screen you can add a recipient or you skip add the recipient, you will be able to add it after completing verification by going to recipient tab from your account dashboard. I will recommend just skip this step and proceed to login your account to submit your documents for verification. Now just click "Click here to verify" text link it will lead you to upload your scanned copies or pictures of your verification documents (passport front page & Valid Work Permit). Click Browse and select your saved images from your computer or from your mobile phone's storage and upload to Valyou Server. Great, we just did it...!!! Note that if they take more than 1 week you can contact the Valyou Customer Service and share your email and phone to know the status of your verification, you also can complete your verification by going to any of the branches of Valyou, keep note that original passport should be with you. 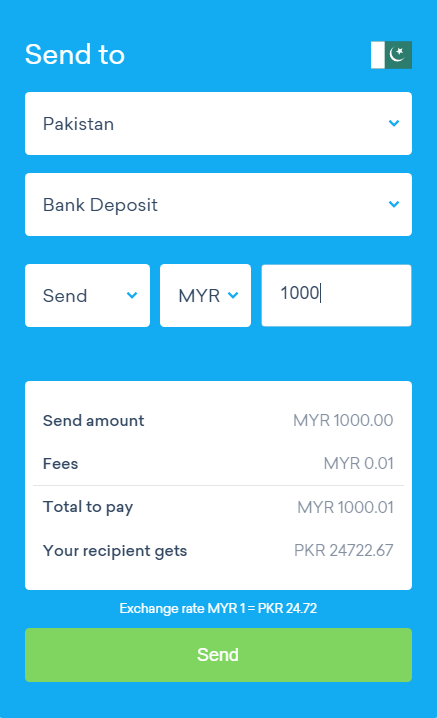 I hope that you will love this post and enjoy the new way of sending money to home country & I hope you will love to check out my previous Sending Money From Malaysia To Worldwide From Your Debit Card. (Worldremit Temporarily Ceased its Operation in Malaysia). Thank you for reading till the end, Peace & Blessings Brothers...!!! After a long break of writing about coding & web elements, today I came up with the great design technique to grab user's attention to page's UX Design, yes I'm talking about Reading Position Indicator (RPI). I've seen quite a few web pages that have some kind of an indicator to display the current reading position. Normally, such a Reading Position Indicators are used on blog posts or long-form articles and help users to understand how far they are from finishing the reading but you may also find it Chrome's android application in the form loading bar (and Apple's browser Safari, a very similar looking loading bar). Developer of plugins uses the simple technique by following the fact that the user must have to scroll the page if he/she wishes to read complete article or browse the whole webpage. The technique he used revolves around the scroll event which is likely to be the key to determine an approximate position of the reader. Great! Now it's time to stylize the progress bar, so let's add some spicy CSS code to our template StyleSheet. The credit of this plugin goes to Pankaj Parashar, he wrote the great in-detail article on CSSTricks. 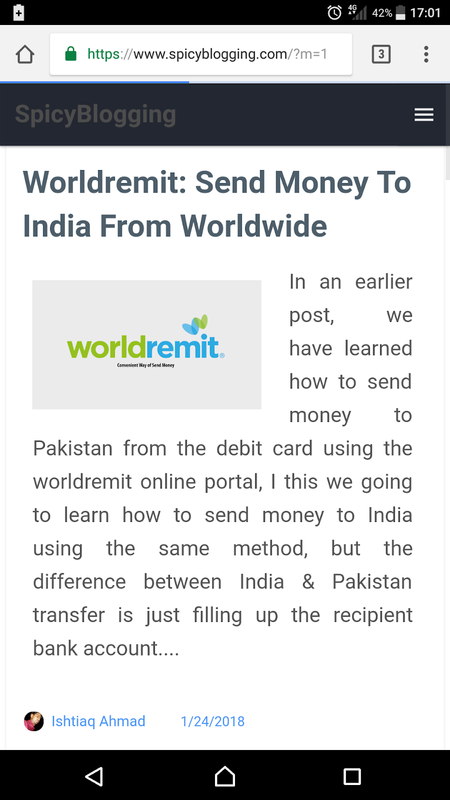 In an earlier post, we have learned how to send money to Pakistan from the debit card using the worldremit online portal, I this we going to learn how to send money to India using the same method, but the difference between India & Pakistan transfer is just filling up the recipient bank account detail on recipient form. WorldRemit's industry-leading technology protects your money and guarantees it arrives safely every time. They are licensed by government regulators around the world so you can be sure they meet the highest possible standards. The following information is required to create an account with WorldRemit. Now we have to verify the email address which we used to create the account, you will receive an email with a verification link, you have to follow the instructions to verify your identity by uploading your Work Permit, I-Kad, Passport or NRIC (If you are a citizen of the country where you sending from), Selfie & Bank Account Statement (you can download from internet banking account or simply grab it from your email address if you already subscribed for eStatement) or Utility Bill to verify your address (I will upload the video Guide Soon In Sha Allah). Now log into your account & select the recipient country i.e India and click get started. all most every country, there are 3 methods Cash Pick-up, Bank Deposit and Mobile account. In our case, I will choose the Bank-Deposit (money will be transferred to personal accounts at all major banks within 2 working days and instantly Cash Pick-up & Mobile Account). Please note that WorlRemit will not transfer to business accounts. It will show you the live exchange rates, & its the best exchange rate I every found in Malaysia. If you satisfy with it just click on send & fill up the recipient detail as below, to get all the input info. Please refer to passbook/chequebook. You will get free first transaction by using our Promo Code and surely we will also get. 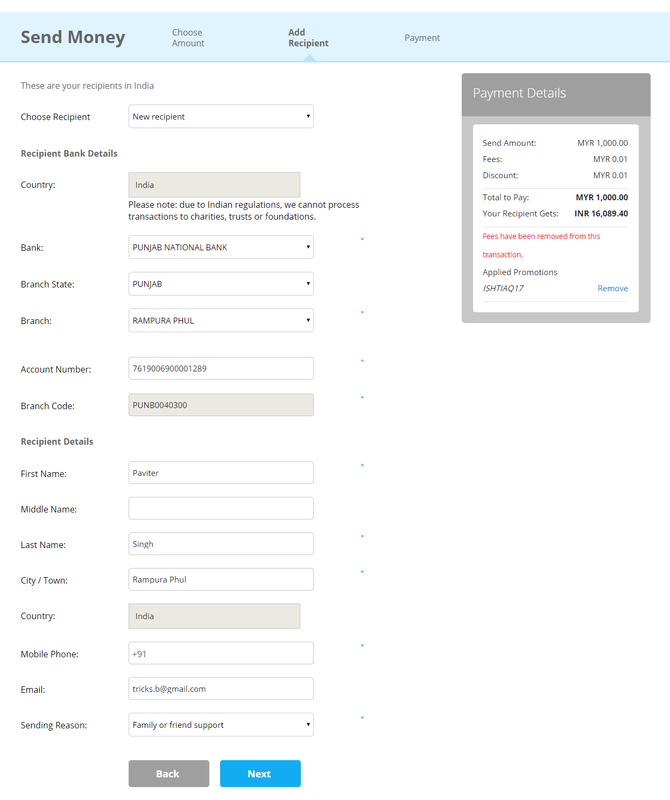 Enter the following promo code just below the transaction summary (as you see in the image above). "Enter a Promo code". For Privacy, I have to hide my billing address. Before clicking pay make sure that your Debit Card Activated for Online Purchase & Overseas Transaction, you can easily activate your card by calling your bank or Card issuer if its already activated go-ahead to fill up all the required detail. Note with caution: After entering OTP & clicking ok please don't close or refresh browser window or turn off/disconect your internet connection until you got transaction detail & receipt for your transaction. Here is a useful article on Wikihow.com to stay safe while using Debit/Credit Card online. Need further help please let me know and more stuff on the way, keep visiting for future updates and more useful tutorials. 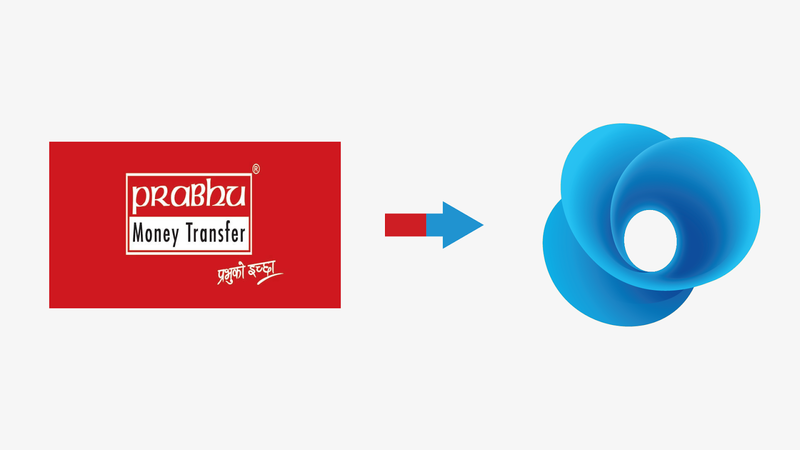 The Remittance Service we will discuss in this tutorial formally known as Prabhu Bank. Let's me familiarize you with the background the of company, in May 2016, Telenor (Norway Based International Company) acquired Prabhu Money Transfer Sdn Bhd, a Malaysian-based licensed Remittance Service Provider that provides multi-country international remittance services. Telenor Group on Nov 15 2016 change the name of company Prabhu to Valyou, and make the service more convenient to its user by making addition of Mobile Wallet solutions in Malaysia. The registered & verified user of Valyou Mobile App can send money to Pakistan, Bangladesh, Vietnam, Indonesia, Philippine and India as well as pay bills, mobile top up and share money Valyou to Valyou Wallet user. 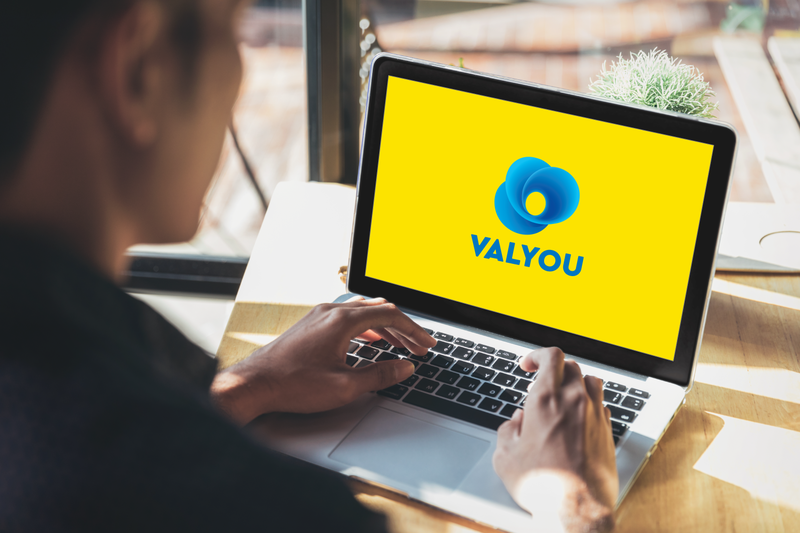 In this post we will learn how to Register using Valyou app & how to verify your account to premium by going to the certified agent of Valyou. Before starting to be sure that you have copy of your Passport (Copy Must Be Clear to ready the required data easily) to scan and upload to the server of Valyou App. The automated system of Valyou app will sent you an one time password (OTP) which only valid for 2 minutes, enter the password and click submit and again click on register button. You have to personally go to the any Merchant of Valyou (CICO) to verify your identity to premium account and enable you to make International transaction. You must have the A4 size color copy of passport or original passport to get your account verified by Merchant of Valyou, make sure you must go along with active mobile number which have used to register. 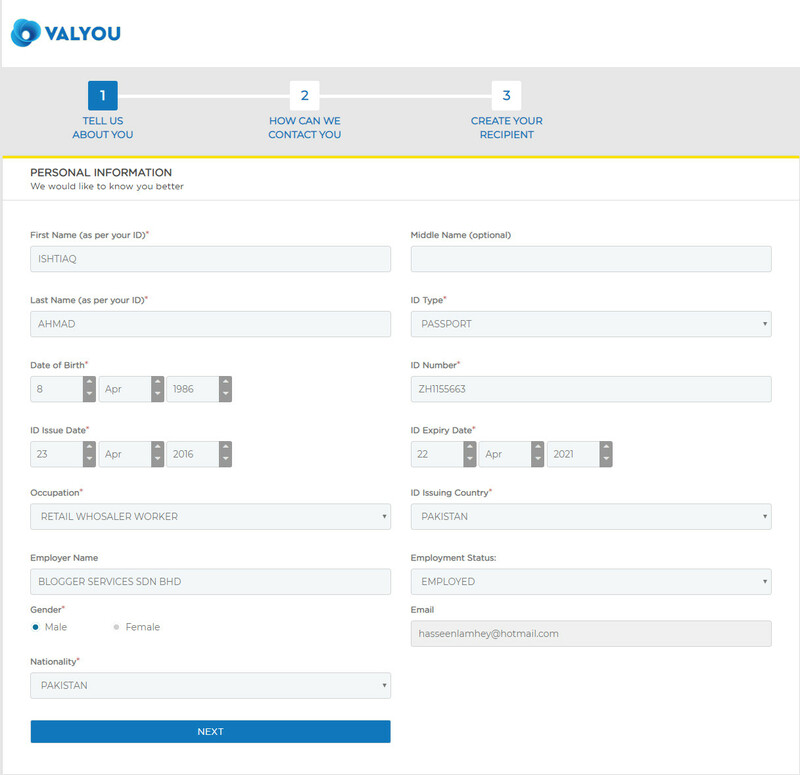 Would love to hear your thoughts on this handy service provided by Valyou, Let me know if it lived up to your expectations, If you need help don't hesitate to ask anything in the comment form below or you may contact Valyou Customer Care to get the location of nearest Merchant of Valyou. Recently I had a chance to write a tutorial on how to send money from abroad, and for the completion of the tutorial, i need the vector logo of WorldRemit which unable to find online and decided to draw one and share it, download the copy of vector logo from the link below. Vector logo of the WorldRmit brand designed by Unknown in Encapsulated PostScript (EPS) and Adobe Illustrator (AI) format. Re-Draw by Ishtiaq Ahmad, the current status of the logo is active, which means the logo is currently in use. Sending money from overseas was not easy as we have today. Since 2013 I’m living overseas & found some great experience with some of the remittance companies as well as with money transfer agents. I also found that most of the people working overseas are facing trouble to send money to their home country due to the less knowledge of online banking and the user interfaces developed by the Remittance Service Provider. I had experience of sending money from Malaysia to Pakistan, India, Indonesia and Bangladesh and would be happy to share with the readers of Spicy Blogging. I will sort the tutorials by the best exchange rate remittance companies and in this first tutorial, we will take look how to send the money to Pakistan from Malaysia throughout World Remit Money transfer service. 7/24 great support, you can call them using Skype free calling to United state feature. After filling all the required fields at the end of the form click submit. Now we have to verify the email address which we used to create the account, you will receive an email with a verification link, you have to click on that link to activate your account. 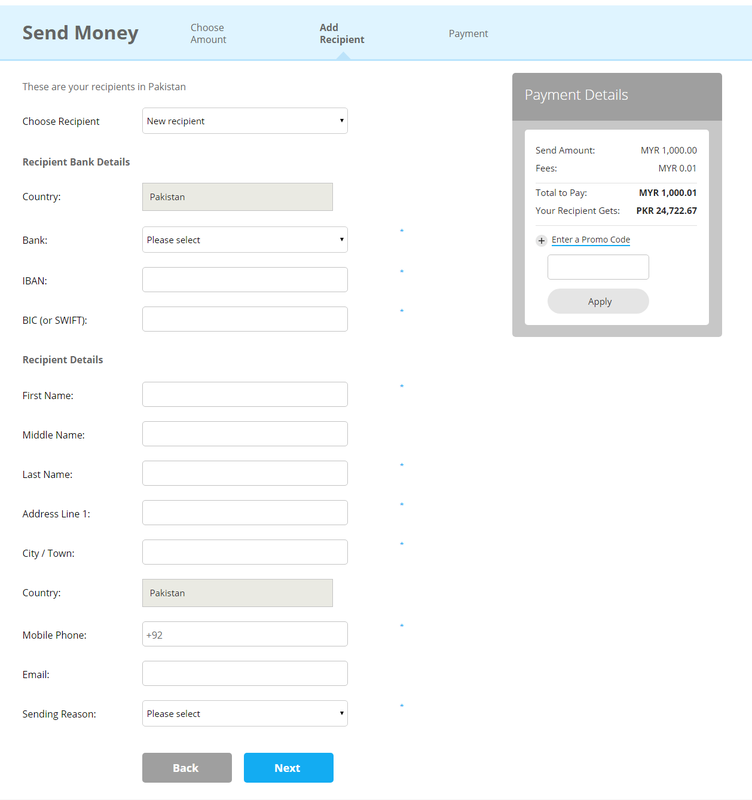 Now log into your account & select the recipient country i.e Pakistan and click get started. In most cases, there are three options Cash Pick-up, Bank Deposit and Mobile account. In my case, I will choose the Bank-Deposit (money will be transferred to personal accounts at all major banks within 2 working days and instantly into Mobile Account). Please note that WorlRemit will not transfer to business accounts. Follow the steps below to generate the summary of your transaction. You will get free first transaction by using our Promo Code and surely we will also get. Enter the following promo code just below the transaction summary (located right side of image above) & click apply "Enter a Promo code". First Name, Last Name (must be matched with account holder name), address, phone and email of the recipient. May you get the form something different than above but don't hesitate to ask me if you there is something you don't understand. The information about recipient can be found the chequebook or you may get the copy of bank statement. use the tools below to generate IBAN (International Bank Account number) and Swift Code. The IBAN (international bank account number) is only required for some selected countries, you have to check with Worldremit recipient form. Here is a useful article on Wikihow.com to stay safe while using Debit Card online. Need further help please let me know and more stuff on the way, keep visiting for future updates and more useful stuff in regards to international remittance. And don’t worry, we hate spam too..!! Copyright © 2015 - 2017 Spicy Blogging All Rights Reserved. Terms & Conditions | Made with by Mohammad Ishtiaq.